Port Fairy prospers on a combination of fishing and tourism. It still boasts one of Victoria's largest fishing fleets. The seas are known for shark, crayfish and abalone, as well as a wide variety of fish. Discover history in every corner of this charming old fishing village on Victoria's Great Ocean Road. 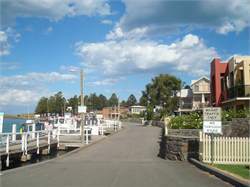 Wide streets are lined by nineteenth century cottages, great Norfolk pines, old stone churches, boarding houses and inns. Many fine examples of the architecture of the 1800s remain intact, and more than 50 buildings are classified by the National Trust. ~ Dine at the Merrijig Inn, awarded 2 hats by the Age Good Food Guide. ~ Take a cruise out to the seal colony on Lady Julia Percy Island. ~ See abundant native wildlife at the Tower Hill State Game Reserve. Follow one of the historic walking trails and discover charming, fully restored white washed cottages built by whalers and seamen beside Georgian-style merchants' homes and grand public buildings. 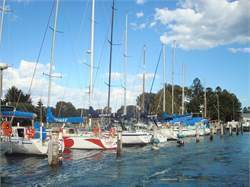 At the local port, one of the busiest fishing ports in Victoria, fishermen unload their catch of crayfish and abalone at the dockside, cruising boats and racing yachts dock and anglers try their luck. From the wharf you can head out to sea on a guided fishing trip or take a cruise out to the seal colony on Lady Julia Percy Island. There's also a range of boutique, antique, art and craft shops to peruse, local artists to see at work and museums to explore. 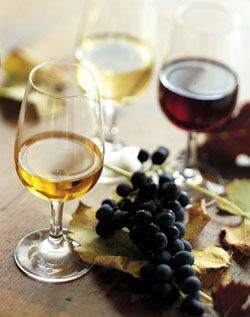 Or you can relax and enjoy the fine food and wine on offer at one of the many great pubs, cafes and restaurants.